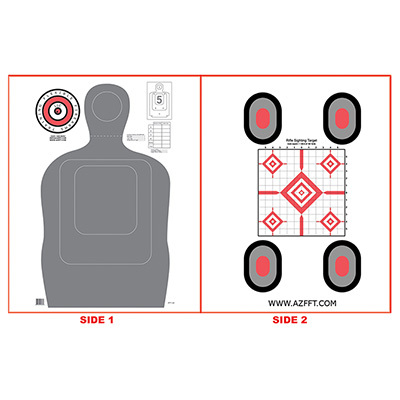 One target with multiple types of practice. With a TQ-15 silhouette on the front and 4 bullseyes surrounding a 100 yard rifle sighting target on the back, you can take a stack of these and have targets for whatever style of shooting practice you desire. For more information on Flexible Firearms Training click here.